The Bowling Ramp helps everyone enjoy the game. The ramp is placed at the front of the lane and lined up for a direct path to the pins. The bowler simply gives the ball a slight push to send it rolling down the alley. 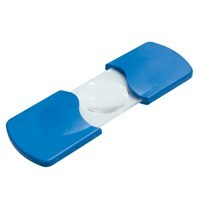 Especially helpful for wheelchair users and those with lower extremity weakness or poor balance. Also ideal for little ones who find bowling balls too heavy to pick up. Use while sitting or standing. Two piece ramps consist of a "U" frame, 25 x 25" (64 x 64 cm), and a one piece ramp track. The "U" frame supports the high end of the ramp. 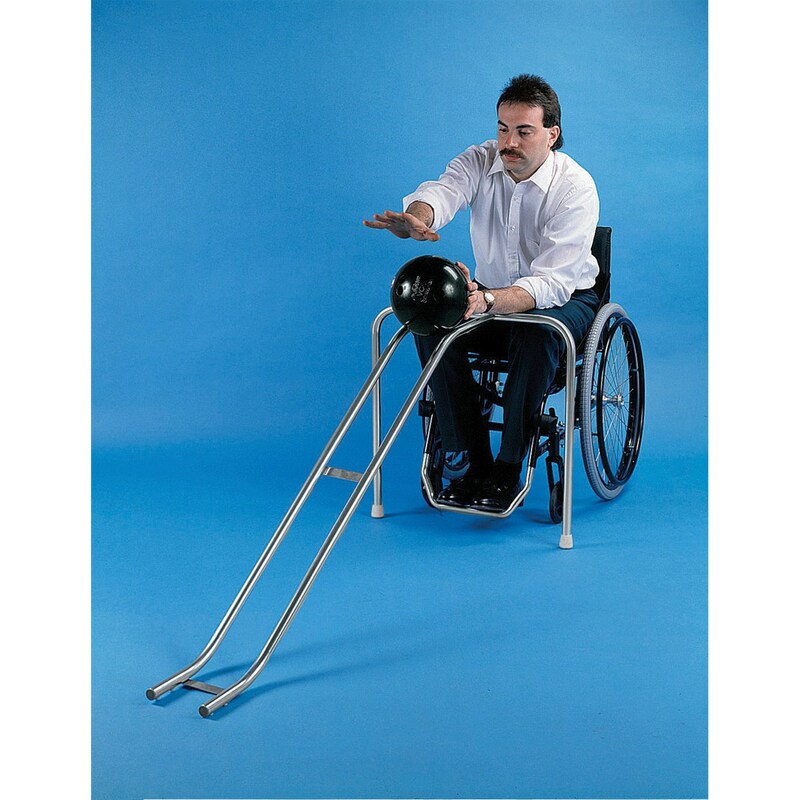 Assembled ramp is 58" (147 cm) long and has four rubber feet for floor support and protection. Easy to assemble using push-pins; no tools required. Ships oversized. Aluminum - High strength aluminum alloy with a clear anodized finish. Weighs 8 lb. (3.74 kg).